A radio control system is made up of two elements, the transmitter you hold in your hands and the receiver you put inside your drone. Dramatically simplifying things here, your drone transmitter will read your stick inputs and send them through the air to your receiver in near real time. Once the receiver has this information it passes it on to your drones flight controller which makes the drone move accordingly. A radio will have four separate channels for each direction on the sticks along with some extra ones for any auxiliary switches it may have. Thankfully frequency and channel wise radio controls are a lot smarter than their FPV counter parts and are much easier to manage. Video transmitters and receivers for example both require setting to the correct channel along with diligent channel management every time you fly. A Radio Controller however simply needs to bind or pair with a receiver when it's first setup. From then on it will always link and hop over various frequencies in the 2.4Ghz band to ensure a solid link with theoretically hundreds of pilots operating at the same time. The output power of your transmitter - Many run just below the legal maximum to be compliant with international standards. The quality of your antennas at both ends - Antennas could be an entire article on their own but basically a larger antenna will send and receive a better signal. Often optimising your antenna placement will make a huge difference to the performance to the system. Although typical radio systems use the 2.4Ghz band, specialist long range systems such as the TBS Crossfire can run on much lower frequencies which are able to travel much further at the same power. FlySky FS-i6 is a excelent entry level 6-channel telemetry 2.4ghz transmitter. Great deal for the money. For $50 this Tx is packed with features and channels. Lots of receiver options are nice for various applications. This is one of the cheapest remote currently available and for the price it is surprisingly solid. It can use a fast iBus protocol, features four configurable switches and is simple to operate. The range is reasonable but it lacks telemetry and defaults with only six channels. This remote requires 4xAA batteries to run which could get expensive. A lot of this remotes shortcomings can be easily fixed by some simple mods. Overall you can't fault this radio for the price point however if you stick with the hobby over a year you will most likely of reached it's limit be looking for a next level upgrade. Turnigy Evolution is great low priced option, and the build quality feels solid. Looking more like a console controller than an rc transmitter. At around $80+ shipped, you get a good, portable, SBUS compatible Tx with up to 8 channels. Feature wise this radio is very similar to i6, (FlySky and Turnigy are the same brand). What’s special about this remote is that it has a feel more like an Xbox or Playstation controller and massively appeals to pilots who have come from a gaming background. If this fits the bill for you the unique form factor alone may justify this option. The radio only features two switches making it simple to use and it does have a few nicer feature such as a touch screen and coloured LEDs under the gimbals. 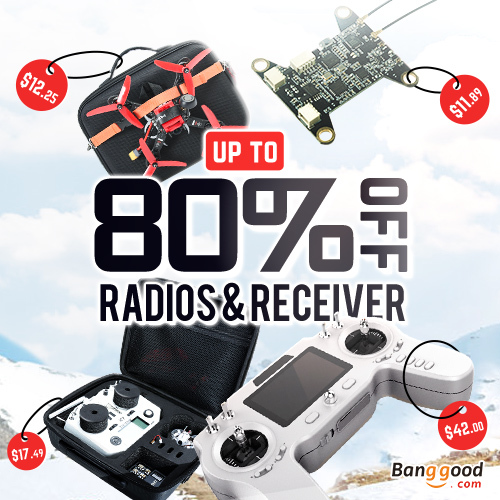 This radio has been manufactured to meet the needs of fpv pilots as well as cut back on the overall cost, giving the everyday FPV Pilot what they want. Enough features to do what you want all the while ensuring a price point that can't be beat. This radio is the slightly cheaper little brother of the Taranis X9D. For those of you unaware the X9D is the most popular radio in the mini quad world and used by a vast majority of pro pilots. This radio features the highly programmable Open TX, reasonable quality hardware and telemetry at a decent price. The QX7 maintains these core values but reduces cost slightly by removing a few switches, reducing the screen size and swapping the chargeable battery for an AA option. The design is more modern than the X9D and the relatively low price point makes this one of the most popular radios for both new and seasoned pilots this year. Ask on any forum and this will likely be your recommendation. The Special Edition is a sprinkle of candy on top of an already tried and tested recipe. 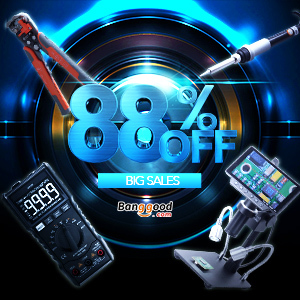 You get the Taranis X9D Plus, Plus a well designed shell, Plus the upgraded M9 hall-effect sensor gimbals, Plus improved switches, Plus cnc aluminum gimbal sticks. Refined after many years the X9D+ SE is a special edition of the X9D+ with the majority of popular mods ready out of the box. The remote features M9 hall effect gimbals, an SMA antenna connector allowing you to use a higher gain antenna and a choice of some cool hydro dip colour options. 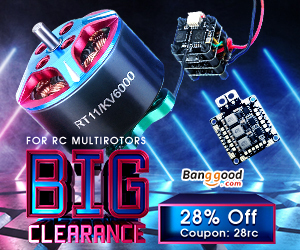 This remote is probably the gold standard for mini quad pilots at the moment and is a great choice if you could see yourself applying these mods to your own radio in the future. The X10S is definitely the top of the line TX from FrSky, the build quality justifies the high price. We love this radio, but just can’t decide if all the advantages outweighs the downsides. The radio is bigger than the X7D and X9D, but it doesn’t feel too heavy to hold. This is the high end king of remotes, everything on this remote is of much higher quality ie. Metal parts instead of plastic. It features a huge number of switched and a large full colour display for you to tweak things with. I heard it quoted from an owner that despite the price you will love it however you would probably just as happy if you had an X9D+ and some extra cash. This level of remote is typically used for aeroplane models worth thousands that demand more features such as flaps, landing gears etc. Different radios speak their own languages to talk their receivers with some being faster and others being more reliable or even smaller/cheaper. This means that you must use a receiver that is compatible with your transmitter which will most likely be made by the same company. PPM - This is a slightly improved version of PWM where all the channels are sent over one wire as a series of timed pulses. This is quicker than PWM however is still not the best option. Digital Protocols (SBUS, IBUS, DSM2/X) - Instead of relying on the timings of different pulse widths digital signals send numbers in ones and zeros which gives perfect accuracy along with even quicker response times. For the speed and precision required to fly a mini quad you should always try to use a digital protocol with the variant being dependent on your radios manufacturer. With all this in mind lets take a look at what you should consider when choosing a radio and receiver combo whilst comparing some of the options out there. If you have looked at some radios online you may of noticed that many give you an option to choose a different mode (eg Mode 1,2,3 or 4). These modes represent which stick does what for example which stick is the throttle. The most common mode for mini quad pilots is mode 2 with the throttle on the left and I would suggest that you stick with this unless you have prior experience with other modes. Once you adapt to a particular mode it will be challenging for your muscles and brain to switch! If you do go for a more exotic mode don't worry, it's preference for you and won't affect anything else. Many radios allow you to open up the gimbals and switch modes at your leisure. The gimbals are the sticks that you use to control your mini quad. For mode two pilots you will have one on the left controlling throttle and yaw leaving pitch and roll to the right hand gimbal. Good gimbals can be adjusted for size, tension and can have customisable stick ends. Some gimbals have better quality sensors such as hall sensors. These rely on magnets instead of a brushed joint which give a much smoother feel and more precise flight experience. The gimbals on a transmitter are much longer than an Xbox or Playstation controller and there is no right or wrong way to hold them. Typical options include pinching the sticks between your index finger or thumb or by just using your thumb on it's own. In general whatever radio you choose you should read some reviews to check if they are pinch or thumb friendly. Thumbers typically want shorter sticks and a narrower radio so that they can grip the back. A pincher will want longer travel but will have to beware of any potential switches they could knock by accident. They may also require a neck strap. Transmitters don't just have gimbals, they typically have an array of switches you can use for arming and changing flight modes etc. Switches come in two or three position forms as well as sliders however as mini quad pilots we don't really need too many compared with aircraft flyers or our photography friends. I would suggest having a radio with four configurable switches will cover everything you could ever need. Speaking of switches each one will require it's own channel and the gimbals require two (each one for each direction). That means a six channel radio will only let you use the gimbals and two switches even if it has more. Higher end radios will give you up to 16 channels which is more than you can ever need. If you are planning anything special make sure you have enough channels free to make it all possible. So far we have covered how the radio talks to the quad but some quads can actually talk back relaying important information such as battery voltage and signal strength. This information can either be displayed on a screen or read out by audibly by the remote to warn you when to land or when you are out of range. Having this read out audibly to you is great as you can focus on flying and won't miss any warnings which could cause you to crash or lose a quad. If you are looking for something that really can do anything and are willing to put the time in you can't go wrong here! Many radios come with an external module bay which allows you to place a large array of standard RC sized modules in a completely different radio. Multiprotocol modules are also available which allow one radio to control nearly everything including toy drones with their own remotes. High end radios will have built in Li-ion batteries with a built in charging circuit allowing you to charge your radio with a simple DC jack. These typically will last for days before they need charging and is most peoples preferred option. The cheaper radios on the other hand may not come with batteries at all and run on AA batteries. This is something worth considering when buying a budget radio is it may cost you more than you'd expect in the long run. The only advantage to this type of battery is that they are readily available and can be swapped with little down time. In the middle you category of radios that can run off lipo batteries but they will require you to charge them separately. On the plus side you get the long battery life at a low cost however you also have to source, charge and manage a lipo yourself. Some radios may also come with NiMH batteries which will not last as long. Talking about batteries brings us onto mods nicely. If you were to go to a race or just a meetup for experienced pilots you may notice that none of them are running stock transmitters. Many users in the FPV community mod their transmitters to meet their specific requirements weather that be functionally or aesthetically. My personal radio has a slot for 18650 Li-ion batteries, upgraded gimbals, larger stick ends and a aesthetic touch ups to the switches and antennas. The basic FlySky i6 can be modified to have 10 channel IBUS with even a voltage alarm with some basic solder skills. As your radio is another component you can't crash (unless you drop it!) I would suggest spending a reasonable amount of money on one. Features like telemetry could literally make the difference between losing a quad or draining the battery too far which could save you a small fortune. Typically pilots use a remote for years where as new quad could be completely destroyed after a few months. If budget really is a factor then you do still have some solid options and they will in no way stop you from having a great FPV experience! If you do choose to upgrade in the future bear in mind that you will have to change all of your receivers which could cost you a small fortune.